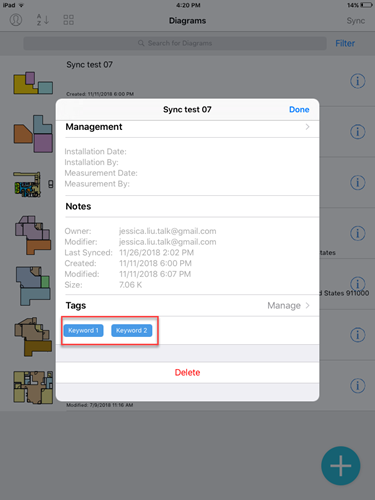 How do I tag a project/create a keyword for a project in MeasureSquare Mobile iOS? – Measure Square Corp. 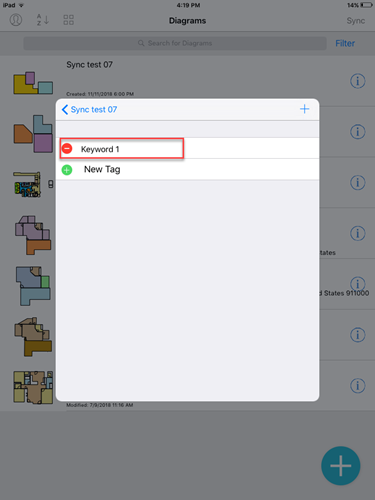 In this article, we will show you how to create a tag/keyword for a project to make the project searchable. 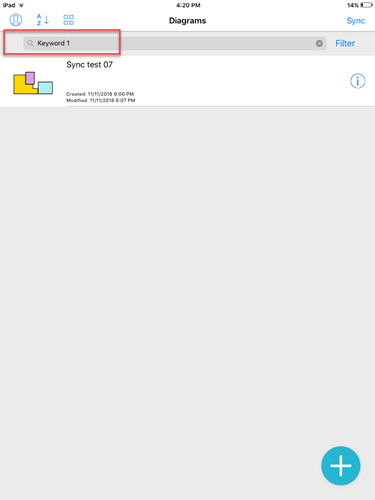 Step 1: Go to the Diagram (i) icon. 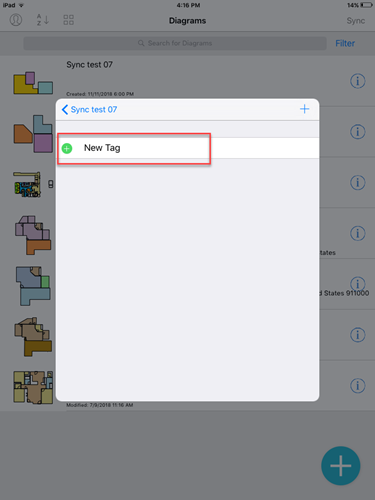 Step 2: Select Tags, and select Manage to customize the tags. 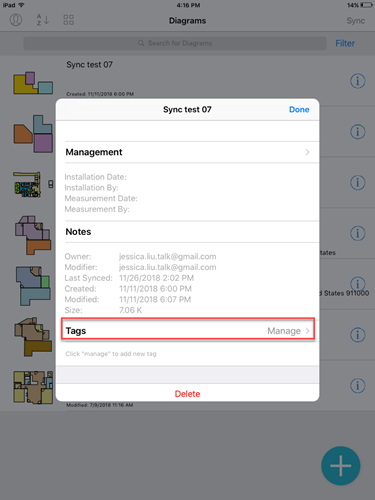 Step 3: You can associate multiple tags to a diagram, and you can search the tags you create by clicking on the Filter icon next to the search bar.